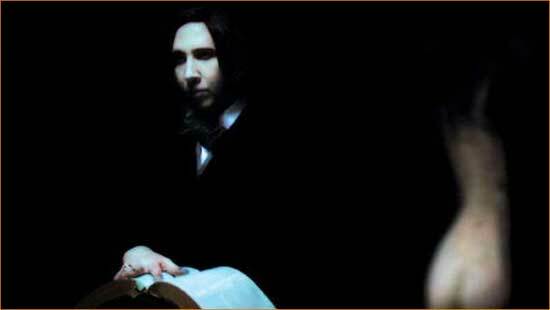 Marilyn Manson goes down the rabbit hole with "Phantasmagoria: The Visions of Lewis Carroll"
That Alice girl sure gets around. Yes, we’ve already seen her out and about with Tim Burton. Seems now she’s about to get down and dirty with Marilyn Manson in his directorial debut, “Phantasmagoria: The Visions of Lewis Carroll.” I could rant and rave about this, but instead, I will let you, the internet viewing public, decide. It can’t be worse than “Halloween 2”, can it?